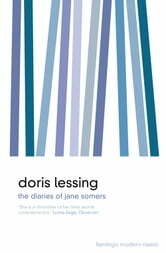 As resonant with social and political themes as Lessing’s masterpiece ‘The Golden Notebook’, ‘The Diaries of Jane Somers’ sees the author returns to the realism of her early fiction with the wisdom and experience of maturity. The diaries introduce us to Jane, an intelligent and beautiful magazine editor concerned with success, clothes and comfort. But her real inadequacy is highlighted when first her husband, then her mother, die from cancer and Jane feels strangely disconnected. In an attempt to fill this void, she befriends ninety-something Maudie, whose poverty and squalor contrast so radically with the glamour and luxury of the magazine world. The two gradually come to depend on each other – Maudie delighting Jane with tales of London in the 1920s and Jane trying to care for the rapidly deteriorating old woman. 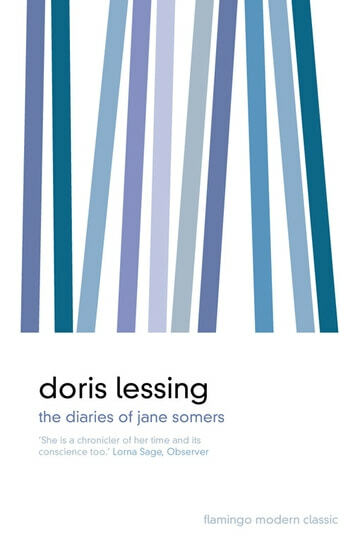 First published by Michael Joseph in 1984 under a pseudonym as ‘The Diary of a Good Neighbour’ and ‘If the Old Could…’, ‘The Diary of Jane Somers’ contrasts the helplessness of the elderly with that of the young as Jane is forced to care for her nineteen-year-old drop-out niece Kate, who is struggling with an emotional breakdown. Jane realises that she understands young people as little as she so recently did the old.